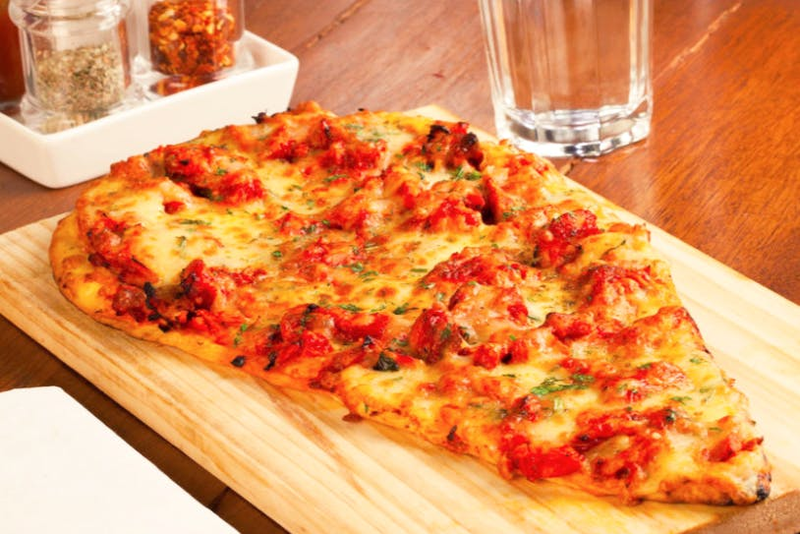 What happens when our Indian naan meets the oh-so-good Italian pizza? Say hi to Naanza, a mouthwatering combination by Kargo at Koregaon Park. Served in wooden plates, Naanza is a triangular-shaped naan with the cheesy goodness of pizza and delicious toppings to die for. This combination is available in both veg and non-veg options. Hervivores, we recommend you try the spicy barbecue cottage cheese naanza for INR 209. If you love it sweet, try the naanza with caramelized onion, mushroom and pokchoy for INR 219. Meat lovers, you aren’t forgotten! Dig in to the yummy smoked chicken naanza with onion and jalapeno for INR 239. We also loved the lamb yassa naanza with spicy-sweet sauce for INR 269. Why settle for a naan or a pizza, when you can get both at Kargo! Fancy A Memorable Meal? Then This Koregaon Park Cafe Is Where You Need To Be!